Next week, I'll announce my next huge 3 month project in the email list (sign up on the top-right of the site to find out before I announce it on the blog or elsewhere), and you'll see plenty of language learning updates as I start from scratch, share my struggling progress, and hopefully reach my goal, all while in Spain and while learning a non-European language entirely online! That's why it's good to prequel all those intense language learning updates, and language learning encouragement posts, with a non-language-related travel update while I can! Later this week, I'll tell you all about the accent project I had over the summer, which was a fun little mini-mission where I learned some curious things! But I'll admit that I didn't give a huge amount of time to it, because the purpose of this summer was to relax and recharge my batteries. In fact, it's the longest I've gone without blogging (over seven weeks in which you only saw guest posts here) for the entire four years of the blog's existence!! But first, it's time to actually tell you how the summer went!! Since these three things are in various parts of the north, middle and south of the west coast, but I didn't want to keep flying, I decided to simply drive between them. America has excellent highways that makes driving easy, and renting cars are cheaper than in most developed countries, because of the necessity and competition. I figured that I'd just stick on the interstate, since it gets you between places very fast, but then someone suggested that I consider doing the Pacifical Coastal Highway. There are two routes; 101 in Washington and Oregon state, and 1 in California, which are definitely not the quickest way to get from A to B, but they are absolutely the most scenic. I had 6 entire weeks to get from north to south, so I certainly wasn't in any hurry! Sounds like a plan! As well as this, I actually had to fly into Seattle and had already bought my ticket to fly in there. There were no direct flights to Portland from Germany that I could find, so my options were to either get a transfer or to fly in somewhere within driving distance. The first option was absolutely off the tables after I swore to myself I'd never do that to myself again – American immigration is the slowest out of any country I've ever been to, and they have no concern whatsoever for any timetables you had wanted to stick to. I almost missed my flight last time I had a transfer on arrival because of this and it's stress I promised myself I'd avoid. Seattle is only 2 hours on the highway from Portland, so before I had the Pacific Coastal Highway (PCH) idea, it was the logical choice to just fly there and rest up and then rent a car, or even get a bus. By flying in there, I had the advantage that I was now essentially able to cover the entire west coast! It's not just the long wait standing, the dullness of it, or that I might have something better to do – it's that some airports play that dreadfully cheesy “Welcome – welcome – welcome – bienvenidos – welcome to America!! !” video. After you've heard that accompanied by all the politically correct images and inspirational-movie-music 58 times in a row, you feel like turning around and getting back on the plane. Anything to make the 2 minute loop stop!!! Luckily Seattle doesn't have that. But I'm still glad I ran! My friend Natalie happened to be on the same flight as me and by being nice and not pushing past everyone and being further back in the line, she told me that she was an entire hour later than me into baggage claim! Yes, they were indeed that slow! What really gave me the head start were the stairs. While others got casually on the escalator, I ran down the stairs past all other passengers like the building was on fire, and managed to be the 3rd one in line! Despite this, it was still ten minutes before I was seen to and my time with immigration was its usual “cheery” experience (it gets worse the more interesting your collection of passport stamps gets)… I'm just used to the fact by now that I'll have to be made to feel guilty and apologetic for entering a country where I'm going to spend thousands of dollars in car rentals, food, accommodation, and various other activities as a tourist. After getting grilled way too much, they actually did say Welcome to America! Every single time they do that, I feel like I've been declared “not guilty” after a nerve-wrecking trial. Finally officially in America, it was time to rent a car! I had booked the best deal I could online for the cheapest car, but unfortunately I bricked my phone just before flying and couldn't use its GPS. I had no choice but to upgrade to a car with GPS so that I could get around easily. Luckily, my charming Irish accent, combined with the fact that the rental guy noticed my birthday was coming up meant that I got a deal where for just $18 more for my entire three day rental, they would give me the sexiest car they had lying around, which someone on Facebook dubbed my “General Lee” (like in the Dukes of Hazard). I hit Seattle for a day, and then after resting I drove 8 hours along the coast to get to Portland. Portland – my favourite US city! When I got to Portland, I dropped off the car knowing that I wouldn't need it for 3 weeks. Portland, OR, is one of the few US cities where public transport is actually quite good and you are fine without a car. It's also got a Europeanesque coffee culture, and lots of great places to eat. Having said that, it's not as culturally diverse as most American cities, so the white hipster population is certainly quite high! 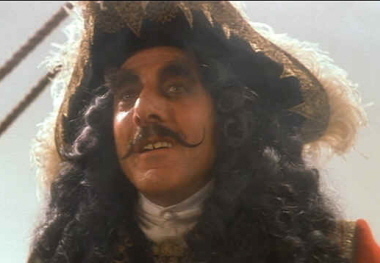 I don't think I've ever seen so many Captain Hook moustaches in my life. It's a great city to hang out in though, so I was very glad to have three weeks to chill there this time! I attended the Summit, wrapped up some final scenes for the ten year anniversary video, and uploaded it on my birthday. Since so many of my friends come to this event, I got to spend lots of time with them, so I had a great commemoration of 31 laps of the solar system completed! I had so much fun during the summit in fact, that I spent most of the next week sleeping it off! Even though I didn't need a car, I would pick up a Zipcar to drive friends of mine to the airport, since I wanted to make sure to see them off. Two nights in a row, I didn't get any sleep because I had to get up so early for this. I considered this adding to my Carma – my car-related karma for when I need a ride some day! I took the second week to explore Portland a little, eat out a lot, and most especially spend several hours with many good friends of mine who live in the city, who I've only had a chance to see very briefly in the past as I dashed in for the Summit for just a few days the last two times. Next, I picked up another rental. Sadly, the General Lee had already gone off with someone else to chase bad guys away, so I got a good deal on a Jeep instead. I didn't care about what kind of car it was and was only going for the upgrade for the Satellite radio, to make the long drives more interesting. Normal American radio and its ads constantly telling me that the drugs it's advertising may cause rectal bleeding and such (warning played very quickly), makes me want to stab my own ear drums out. I just wanted music. As such, I got to experience an entire day of the 101, with appropriate themed driving music. The stretch of it in the state of Oregon leading into California is mostly windy roads, so I had a hectic day of driving hairpin bends up and down mountains. I thought this would be a touristy drive, but I was actually completely alone, only seeing a car drive the opposite direction past me every few minutes. This part of the country is also very cloudy, so the view wasn't so great, until I was going up another mountain and noticed through the rear-view mirror that I had driven above the clouds and saw the most spectacular view of the sun setting and turning all the clouds orange. I really wanted to pull in and snap a photo, but there were no stops for miles still, and not even a hard-shoulder where I was at the time. It was a breathtaking sight, but I had to just let my memory do its thing! After a full day of driving this, I pulled into a town Arcata, which I knew in advance would be approximately half way between Portland and San Francisco on this route. I also chose this town because it was right by the Redwood park! I took the entire next day around the area to explore it properly, and walked into the Redwood park with the plan to simply find my way out of it without needing to retrace my steps, or using GPS. Well rested, and well breakfasted, I hit the road again for another entire day driving! The scenery wasn't so great when inland and trying to make it to the coast, and I felt like I was working more than on holiday, when trying to focus on winding in and out of the mountains. But all that work was made worthwhile when I had been in mountains for hours and then suddenly out of the nowhere, I cleared the clouds and hit the Pacific Ocean. It was a sight for sore eyes! I went onward to where route 101 finally splits off into route 1, which I would stick to all the way down to San Diego ultimately. I took this until the sun had set and I had arrived in Oakland. Now that I was in the Bay Area, I stopped for an entire week. I used the chance for a friend to give me a tour of the Googleplex, visit the oDesk offices, say hi to those behind my favourite travel app Tripit, and even randomly stumble across the Soundcloud offices! They gave me a t-shirt that you can see me wearing at the start of the article. I had the Berlin-project meeting, a Fluent in 3 months reader meet-up with some cool people, and met Susanna. Just like the last time I met her in San Francisco, we recorded another video together that I'll hopefully show you soon! I was having the best summer, but then when I treated myself to Kitesurfing lessons I found an online discount for, my car got broken into and my stuff got stolen. I was furious when it happened, and worried that without my driving license the road trip might have to be cancelled. I decided to print off the scanned backup, and accompany it with the police report in the off chance I was pulled over, and luckily I didn't get to test if that would have worked. Fortunately, I had several hundreds of dollars emergency cash at the ready – and was ready to drive onward. This happened my last day in Oakland, so I was leaving anyway and only had a couple of days left on this rental before stopping in Anaheim for a few days. Down route 1 to L.A. The catch was that I was now driving with my back window completely broken and smashed out. Since I was driving with everything I own in the world, I was not able to simply leave the car with it all in there. Even if I was in a relatively safe area where break-ins were unlikely, leaving the window open with so many possessions in clear view was just not something I was willing to risk. This meant that for the next 2 days as I drove down the coast, I had to keep my car within view at all times. It was a little limiting, so every time I stopped for food for instance I could only go somewhere that had a car park right at the window of the restaurant, but I dealt with it. This time I stopped in Cambria on the way, in a very safe place but took everything out of my car just to be sure. The next day I continued on along the coast. The coast itself is so interesting, especially considering it is so undeveloped without so many buildings. I expected California, of all places, to take advantage of such scenic areas with high rise buildings or weekend condos or the like. But it was peaceful and tranquil. In fact, the one thing that did have access to the coast was the Pacific Coastal Highway itself. At many stages, you would be driving just a couple of metres/feet from the crashing waves themselves; and while I've done this before on tiny roads, driving an 8-lane highway at high speeds with the vast ocean and crashing waves right there beside you, is certainly one hell of a unique experience! If anyone else decides to do the same drive, I'd highly recommend going North to South because then you are driving on the side along the ocean itself and can see a little more. I was driving alone, so taking turns with someone else would have allowed me to appreciate it way more. Having said that, there were plenty of “vista” stops that let you pull in and snap some photos or just gaze into the ocean. While he may not look that familiar, a little video he made will definitely ring a bell for some of you: “Double rainbow all the way… what does it mean? ?” (38 million views). At a night out, I was also dancing with the Chocolate Rain (93 million views) sensation Tay Zonday. I managed to sneak into both VIP parties each night, and hang out with iJustine, Tobuscus (Toby Turner, who I'm a huge fan of), Daily Grace (whose voice was hoarse from partying, so I had a chat with her about how this wouldn't happen if she learned ASL! ), Nice Peter and Epic Lloyd both of whom are behind the amazing Epic Rap Battles of History channel, and loads of other interesting characters! I hung out loads with Nomadic Matt and Yang Yang and got to chat briefly with Tim Ferriss and Ryan Holiday. I had a great time with all of them! Great to see so many faces that I recognize from Youtube in “meat world”. After Vidcon, I made it into Long Beach and was kind of stuck there without a car. Putting on my thinking cap, I figured out that I could simply use my Zipcar pass to use a car for my final days of completing the PCH. Another other car rental would have required me to have shown a real driving license, and I had luckily already shown them mine when I signed up and only needed my Zipcar card to pick up reserved cars. Of course, my Zipcar card was in the wallet when stolen, so I had to get a replacement by spending the entire day on Los Angeles' public transport to get into Hollywood to their offices. L.A. really is a city built for cars!! Then I could finally pick up a car again, and drive it down to San Diego! At this stage, my six weeks were about up, so I could only stop in San Diego briefly. I met up with some friends, and took a couple of hours to visit La Jolla, which is where I lived 11 years ago (before I graduated uni or considered long term travel; I worked as a Yoga store manager of all things when in that town). Lots of reminiscing ensued! Satisfied that I had completed the PCH all the way, I could drive back to L.A. on the interstate highway and drop off the car back where I found it. My friend John Fotheringham picked me up to drive me to the airport, and I was on my way! I spent one more week in the states, and then flew back to Ireland. “For my safety” my privacy was totally ignored and everything I own in the world was searched through, without a warrant, or without me being present to witness it and make sure they didn't steal anything (as they have been known to do). I hope you enjoyed this totally non-language update about my summer! In the next post, I'll discuss the wee accent project I had, and next week I have some fun stuff coming up that I can't wait to share with you!! Hit me with comments on any of this!